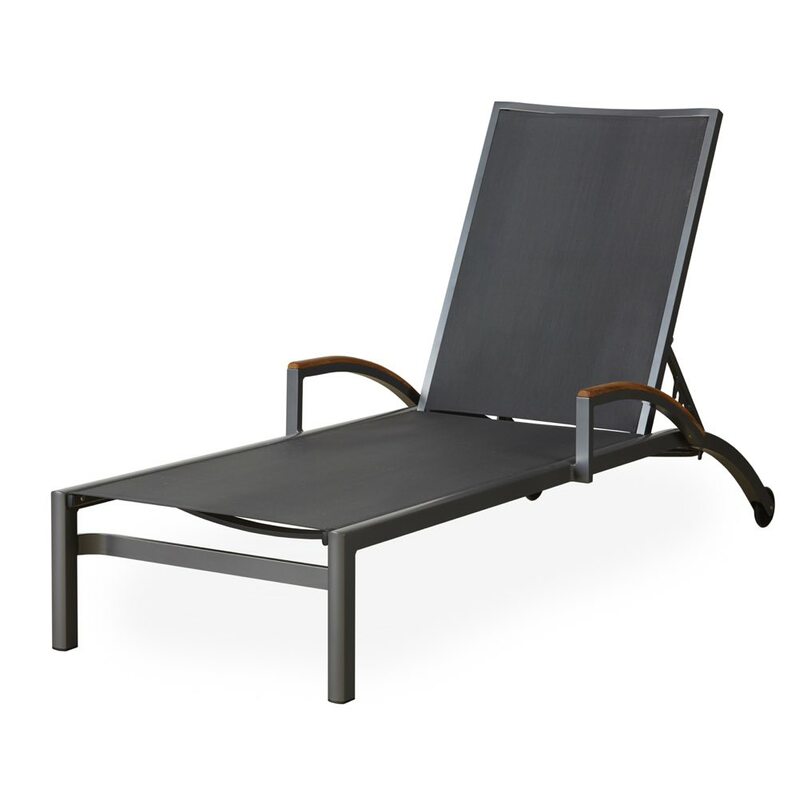 Lloyd Flanders Lux sling chaise lounge chair with gray sling and gloss anthracite aluminum frame and teak arm rests.®. 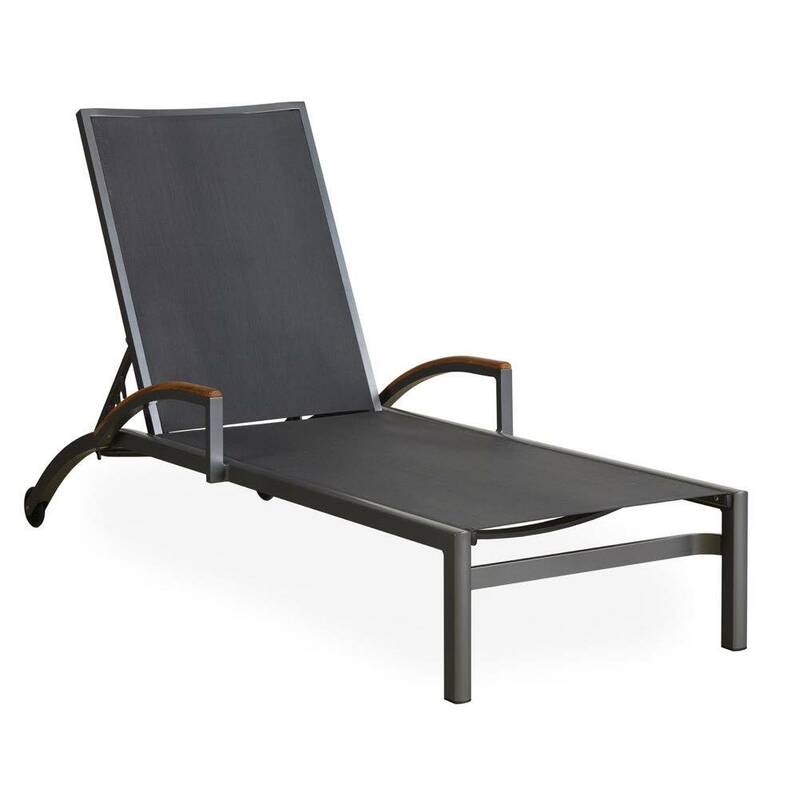 These sling chaises are sold in quantities of two. They are constructed of quality aluminum frames and a Textilene® mesh fabric sling. The Textilene sling is a durable outdoor mesh fabric consisting of individually PVC coated yarns designed to withstand the outdoor elements. Textilene is very strong and the best choice for sling furniture. Textilene is easy to maintain and will remain looking good for many years. 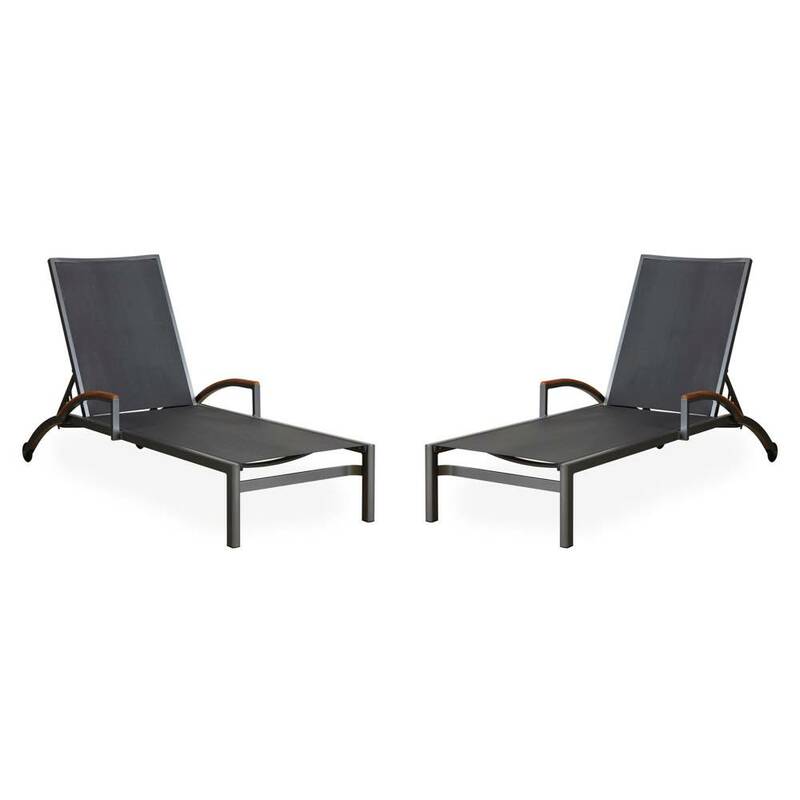 Lloyd Flanders Lux Sling patio chaise lounge chairs are stackable. Lux welded all-aluminum frames are corrosion-resistant and extremely durable. These frames require minimal maintenance and should retain their finish even after years of use.